MallofMemphis.org is a special kind of web site - called a wiki. All this means is than anyone, including you, can add, edit or update content on the site. We don't require you to register, give us your email or anything else. 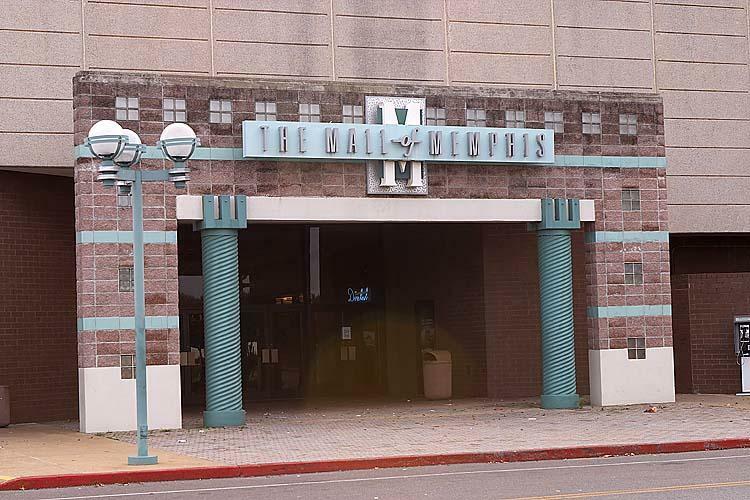 All we want is your opinions, your memories, your stories and your pictures about The Mall of Memphis and any other topic discussed here, especially items in or that you think should be in Lost Memphis. What you see on this site today is the result of many different people, from all over the U.S. and the world, who shared information and started the process of building this site. Some we know well, some we have never met in person but know their name and some we don't any anything about - if they choose not to include their name. Many do, though and we suggest that you do tell us who you and a little about you. Then we can include you in the credits below. Or, if your prefer consider listing your name or nickname here as a contributor. Thanks to all below who have helped so far and all those who have helped and didn't leave their name. 1) Doug Force You can read about me here, if you like. 2) A so far nameless person at IP 71.240.77.243 - who has added a complete store list and corrected my spelling! Thanks!!!! 3) 141.158.89.169 - Same thing - has been working behind the scenes correcting spelling and cleaning up pages. Thanks! 4) Deborah Duncan - The second person to join in here and tell her mall story, a Mall of Memphis fan and collector, a site contributor and a friend! Thanks Deb! 7) Ben Schumin added a reference to us in Wikipedia! - Cool! Thanks, Ben! 8) User at 74.226.88.234 helps to fill in missing details in our timeline. Thanks! 9) Devin Greaney for details on the last movies shown at the Mall, and several other items in the Timeline. 10) Aunt Jackie provides a great insight into how the youth of Memphis considered the mall THE place to be on Saturday. 11) Sarah Kee has uploaded a number of Food Court pics showing several of the various eateries. Thank you, maam. You go to Harding Academy? 12) David Smith - Folks, this man is a patron saint of this site! Thank you, Thank you, Thank you!!!! 13) Laura DePouw? - Mall dog show winner! 14) John Trezevant? - Son of Stanley H. Trezevant Jr., father of The Mall of Memphis. 15) Matthew Collins - Hometown raised, looking back with care. 16) Linda Daichendt - Former mall Marketing Director - will soon share an insiders insight with her mall collection! 18) Kurisu - Chris has provided a video that will soon grace this site. 19) Brandon - Brandon's updates can be seen all over the site - he has a great memory for what was the Mall. 20) Heather - Heather shared Thalhimers images and Mall memories! 21) Kristen - Kristen has updated facts all over the Mall - more about her here! 22) Chris Baskind - The Paper Frog man who interviewed Sam Phillips at the Malls Sun Studio Cafe! 23) Carl Litton - Carl had a personal connection to the Mall of Memphis co-founder, Jim Bridger! 24) Bonnie Kourvelas - Host of TV's 'Southern Routes', Bonnie is a long time friend of the Mall! 25) Heather B - Additions to the Lost Memphis page of the site! 26) Alan Whitenton- Alan is officially a Mall of Memphis hero! 27) Dennis Allen - Former Marketing Director at the Mall of Memphis! 28) Laura Cunningham - Our favorite friend in the History Dept at the Main library! 29) Dani Mitchell? - Dani is a professional ice skater who learned to skate at the Mall of Memphis Ice Rink. She has contributed lots of material here! 30) Lisa Cochran - Lisa connected with LostMemphis when the Zippin Pippin was being destroyed. She has since contributed lots of old Fairground images and is working to save the Grand Carousel! Remember, MallofMemphis@gmail.com for emailing us pics, stories -whatever. Thanks!